When tickets are purchased online or over the phone, ALL TICKETS ARE HELD HERE at The Record Collector. You pick them up at the door on the night of the show. 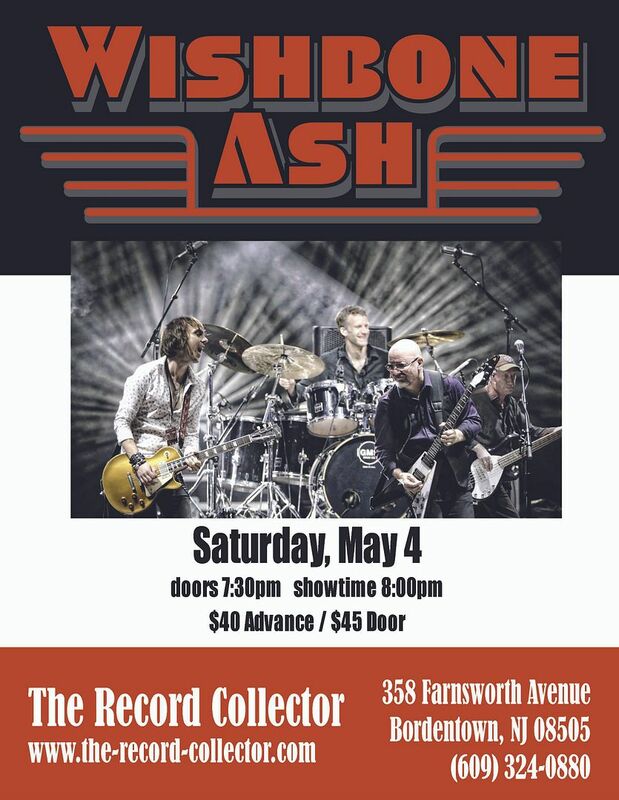 In the ramp-up to Wishbone Ash's 50th anniversary, the band is celebrating its 49th year in characteristic fashion: with an extended tour. Dubbed XLIX (49 in Roman numerals), the tour began in October 2018 in the UK, followed by dates in Europe and, in Spring 2019, comes to North America. 50 Years and going strong ! When tickets are purchased online or over the phone, ALL TICKETS ARE HELD HERE at The Record Collector. You pick them up at the door the night of the show. We look forward to you being here!! Tickets are available NOW at The Record Collector! Sales tax is added to the price of all tickets. You can also purchase tickets online using your Paypal Account or Credit Card (There is a $3.00 handling charge added if you use Paypal or a credit card per ticket). You can also call us at (609) 324-0880 to purchase your tickets. No checks accepted. We are looking for entertainers for in store events.